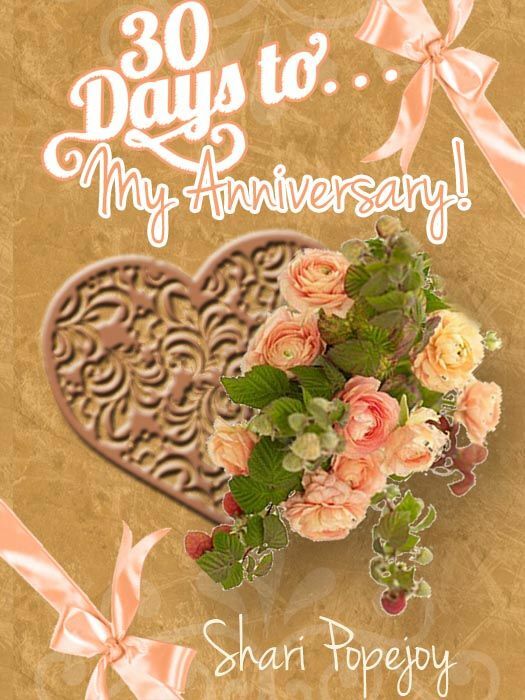 30 Days to My Anniversary is an interactive anniversary card for wives to help a Christian wife make a daily effort to be a better wife, and to bring love and romance into her marriage. It might be the favorite gift he's ever received! 30 Days to My Anniversary is an interactive anniversary card for wives. This book is for the Christian wife who wants to make a daily effort to be a better wife, and to bring love and romance into her marriage in preparation for a romantic anniversary celebration – and who wants a unique gift for her hard-to-buy-for husband. Presented to her husband on their anniversary, this is a perfect love letter for the man who has everything; it may become the favorite gift he's ever received. Shari writes in 30 Days to My Anniversary with an easy conversational style that introduces spiritual truths in a relaxed and friendly way. She also combines her straightforward Missouri manner with a commonsense approach that is efficient and effective in its application. Wives who participate in this 30-day journey may be surprised that a simple change in behavior or perspective can help to improve communication and relationship with her husband. She will delight in bringing this good gift to her marriage, as she finds practical tips to enhance her relationship with her husband—just in time to celebrate their anniversary! Spread the word about it and earn 85.00% of the purchase price on sales you refer.